Join our dynamic team today! 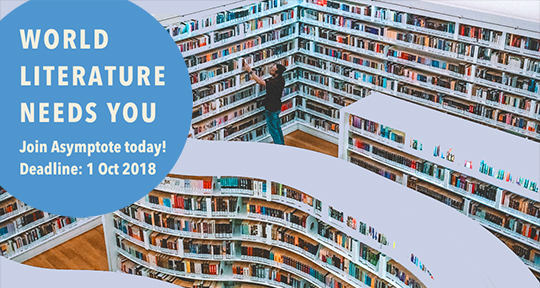 Are you passionate about world literature? Do you want to play a role in agitating for a more inclusive canon? Are you looking for a way into a career in world literature? If you answered yes to any of the above, we have good news for you: we’re recruiting again! From Social Media Manager to Assistant Blog Editor (yes, of this Blog no less! ), one of the many newly advertised roles on this page may be a fit for you. 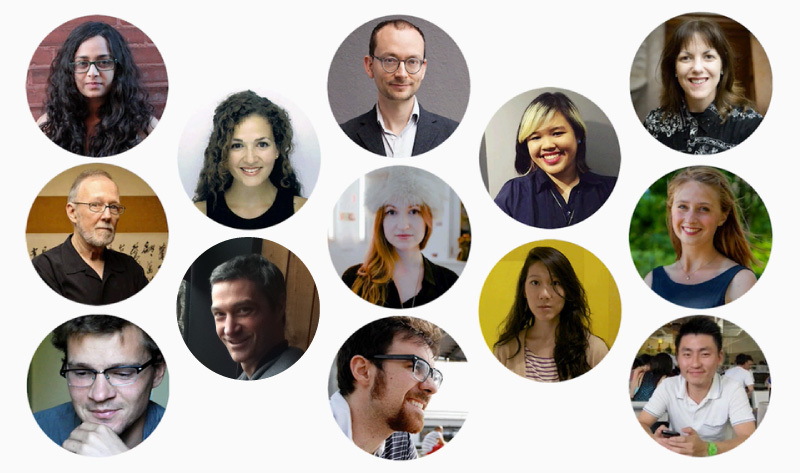 Check out testimonials by some former staff below, before applying to join our dynamic team! But hurry! The deadline to send in an application is next Monday, October 1st. This will be the final recruitment drive of the year. 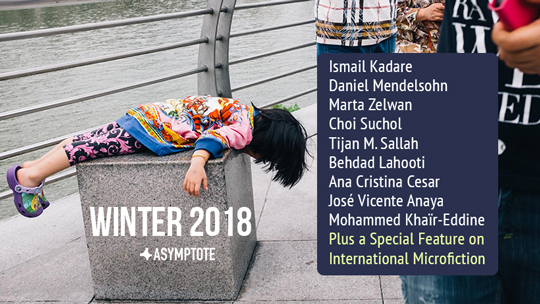 Asymptote is the only literary magazine I’ve ever worked for or heard about that has the editorial brain-power and resource of generous and highly-talented translators to pull off a 20-language project in 10 days. This is what we did with our Mexican poetry project, which, thanks to the on-hand blog, graphic and social media team, caught the wave of worldwide solidarity for the victims of the Ayotzinapa massacre in September 2014 and the subsequent protests. It was shared in its thousands, including retweets by organizations like English PEN, Words Without Borders and Granta Magazine. 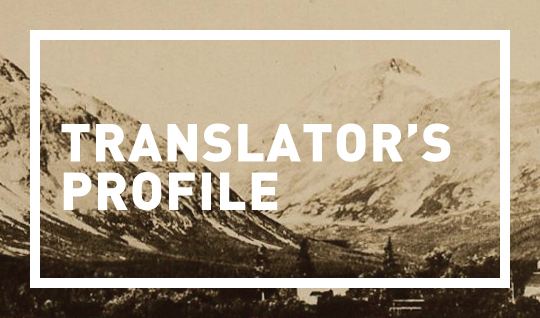 I put the call out for translators for the project on a Wednesday and that same day received an offer of an introduction from NY-based Mexican author Valeria Luiselli and 9 offers of translators. One of the first messages came from our Israel editor-at-large, saying: “We all do our tiny little part in the world: mine is translating.” Asymptote does not only have impeccable taste in global literature (from ancient to contemporary), it also continues to prove, in a very tangible way, that translation is not tiny; it is a vital force for good in the world. I’m very proud to be editor-at-large for Mexico and can’t wait to see what we at Asymptote do next. "To me, inspiration feels like a downpour." Ilan Stavans is Lewis-Sebring Professor in Latin American and Latino Culture at Amherst College and the publisher of Restless Books. His most recent translations are Mariano Azuela’s The Underdogs (Norton, 2015, with Anna More), and Lazarillo of Tormes (Norton, 2016). A recent conversation with him on translation, with Charles Hatfield, is “Silence Is Meaningful,” Buenos Aires Review, July 15, 2015. What is the best translated book you’ve read recently? Tim Wilkinson (b. 1947) grew up in Sheffield, S. Yorks., but has lived most his adult life in London. 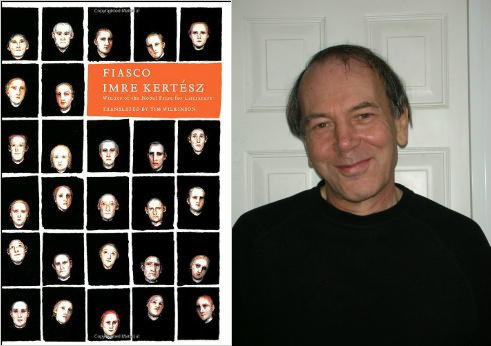 He is the primary English translator of Hungarian writer Imre Kertész (titles including Fatelessness, Fiasco, Kaddish for an Unborn Child, Liquidation, Detective Story, The Pathseeker and Dossier K) and, more recently, Miklós Szentkuthy (Marginalia on Casanova, Towards the One and Only Metaphor), among others, as well as shorter works by a wide range of other contemporary Hungarian-­language authors. Fatelessness was awarded the PEN Club/Book of the Month Translation Prize for 2005. Q: How did you learn your foreign language, and how did you begin working as a literary translator? 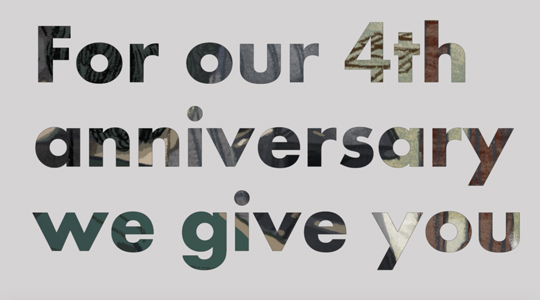 A Big Thank You From All Of Us At Asymptote! We are bowled over! Our crowdfunding campaign just closed on the gorgeous number of $25,276 and we made our target (just in time!). 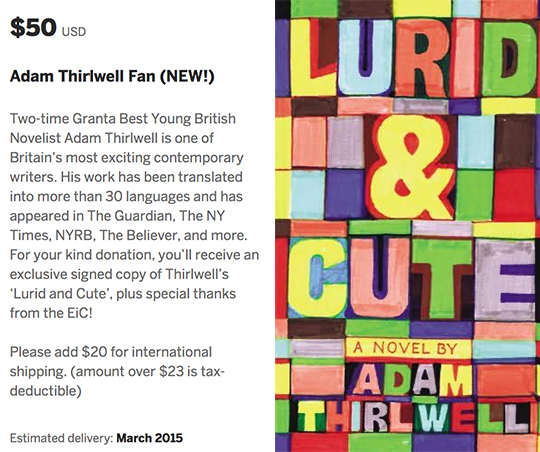 Thanks to 287 AMAZING donors, we will be able to continue our passionate work in world literature. Thank you, 谢谢, dankjewel!! With 6 hours remaining, we're closing in on the gap with less than $1,000 to go! In true Asymptote fashion, the script for the following video was written in Berlin and edited and polished in Taipei, Singapore, New York, London, and many other cities. The talking heads were recorded in Ithaca and then edited together in Virginia, all the while being sent all over the globe in various stages of completion so other team members could chime in with their two cents—we could think of no better way to not only explain why we we do what we do, but also to showcase how. Presenting world literature to a wide audience all over the world is our main goal, but our main strength is our team, which works tirelessly behind the scenes all over the world to showcase that otherwise obscured poet or this overlooked writer in the best possible light and style. 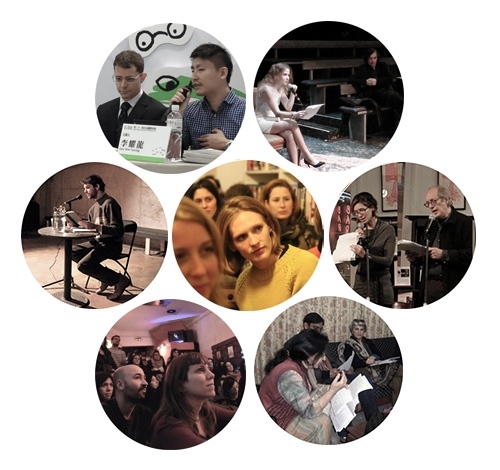 Please help us — all 70 of us — keep Asymptote alive beyond January 2015 and for many more years to come by donating to our Indiegogo campaign here. Unveiling Our Winter 2015 Issue Video Trailer! Get excited for Friday with this high-octane sneak peek at our 4th Anniversary issue, out January 30! 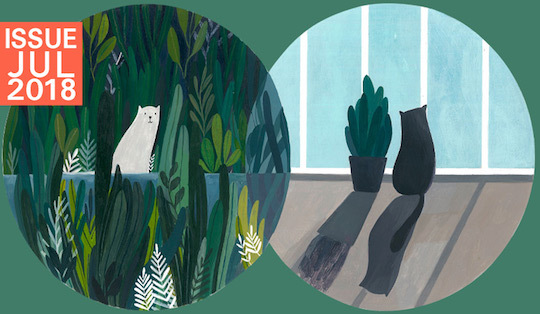 From the sparkly trailers for previous issues that you’ll find below to our beautifully designed website, with its gorgeous illustrations and immersive slideshows of visual art, Asymptote is committed to presenting and promoting its writers and artists in great style. If you like what we do, please consider donating to our campaign—only 30 more hours to go! Start your weekend right by grabbing these new perks! Hurry, as there are very limited copies available! Reif Larsen, author of the New York Times best-selling The Selected Works of T.S. Spivet and frequent contributor, made us the following brilliant lighthouse-themed video in support of our fundraiser. It’s a scream, really. After getting your fill of laughs, head over to our Indiegogo campaign to check out the newest perks that have been created just in time for the weekend! Yes, it’s true! 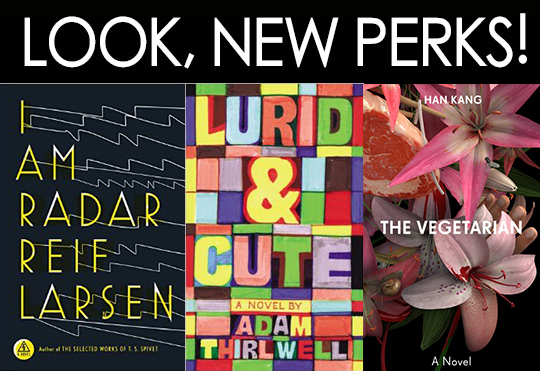 We’re giving away the very latest titles by our illustrious supporters—other than Reif Larsen, Adam Thirlwell and Deborah Smith, who recently joined us in London for our anniversary event (photos already up here), are also lending a hand. Our Singaporean editor-in-chief couldn’t resist creating the perk “Gateway to Singapore Lit!” comprising a pair of the latest titles by two of the best Singaporean writers today: Desmond Kon and Christine Chia. These books are specially autographed for the campaign; in fact, some are personalized even further—e.g., Reif has said he will even create diagrams for 10 lucky donors! Hurry, as there are limited copies! Testimonials from Asymptote's global literary partnership in Hong Kong, with journal "Fleurs des Lettres"
One thing that Asymptote certainly delivers is fresh literature. That is, we don’t just sit back and wait for submissions to ping! in our inbox, and make do with whatever we get. In fact, submissions—which we do take seriously, with five dedicated slushpile readers sifting through works that come in over the transom throughout the year—probably make up less than 20% of our published content, if we go by wordcount. Some sections, such as Drama, Interviews, Visual, Criticism, Writers on Writers are heavily commissioned/solicited sections. These need very resourceful/persistent section editors, who can convert the most tenuous of leads into actual contributions. An entire blog post or probably even a book could be written about how we wooed author X or publisher Y or translator Z or guest artist A to come on board. Even with very resourceful section editors, however, given our mission of diversity, no one editor can cover his or her section for too long and still do his or her job well. That’s where our supporting cast comes in: we have a jet-setting commissioning editor who is able to network on our behalf at writers’ festivals, we have contributing editors to pitch and contribute content, and as mentioned previously, we have an assistant editor researching hitherto unpublished languages, as well as editors-at-large with their fingers on the pulse of their regions’ literary scenes. Today we’ll talk about one facet of editorial work undertaken by editors-at-large that few of our readers may be privy to: journal partnerships. It makes sense to partner with journals because as the first gatekeepers of literature everywhere, journals publish the freshest and most cutting-edge literature being produced in its region. As for how the partnership works: we take an article or a set of articles from a foreign language (i.e. non English-language) print journal and translate it into English to present in our quarterly issues. In return, the foreign language print journal then takes an article that we have published and commissions a translation of that article to be presented in its pages. All rights are cleared with the author of the article before proceeding. This is a model that stimulates the transmission of literature (in both languages) and benefits magazines, readers, authors, and translators alike. A list of our journal partners to date can be found on our map here—two more slated for 2015 are Steaua in Romania and Writer in Thailand—but today we’ll only feature testimonials that shed light on one journal partner, the very stylish 《字花》from Hong Kong (also Fleurs des Lettres). Close Approximations Winners: Where Are They Now? 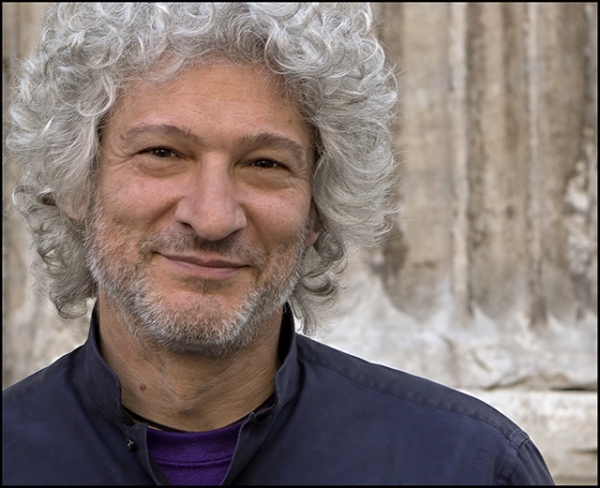 Judged by no less than acclaimed translators Eliot Weinberger (in the poetry category) and Howard Goldblatt (in fiction), this contest received close to 200 submissions. 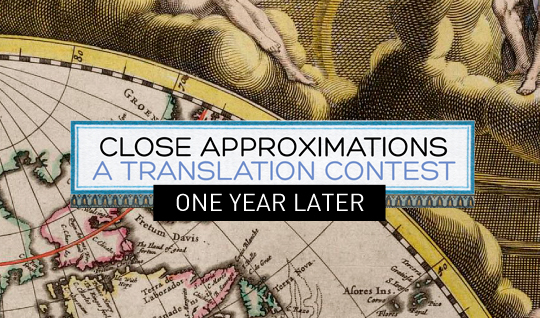 Those who emerged victorious were lauded for their ability to “successfully cross the linguistic boundary,” and render translations that “zip along.” (Here are the complete judges’ citations.) Read on to see where these gifted newcomers find themselves now, a year after winning. If you would like to help us run a second contest (that will include a new nonfiction category! ), give us some love—especially now that we’re entering the final stretch of our fundraising campaign, with TEN NERVE-WRACKING DAYS left! 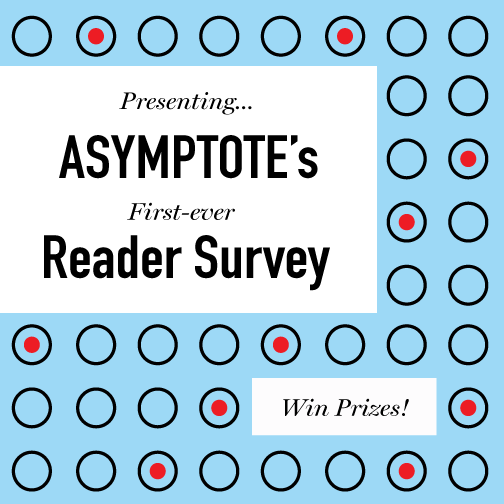 Asymptote’s First Ever Reader Survey (+Prizes)! Do you like Asymptote? (Yes). Do you like free prizes? (Obviously). Participate in our reader survey! 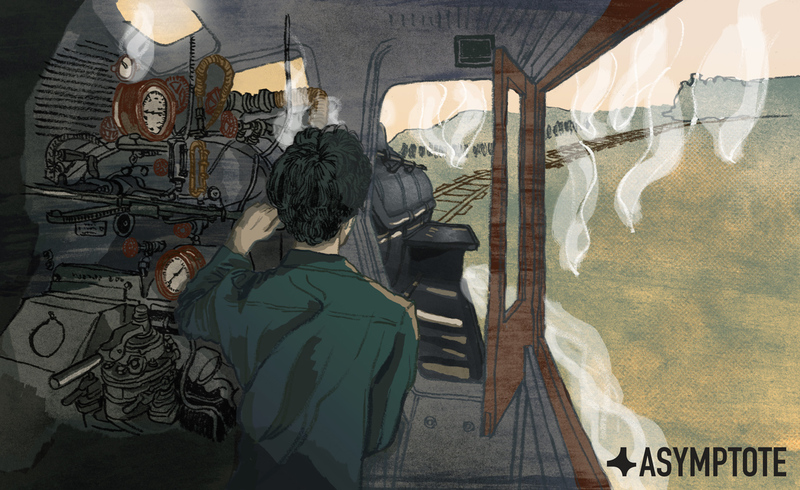 A quick PSA for our dear blog readers: if you read the journal (check! ), love world literature (check! 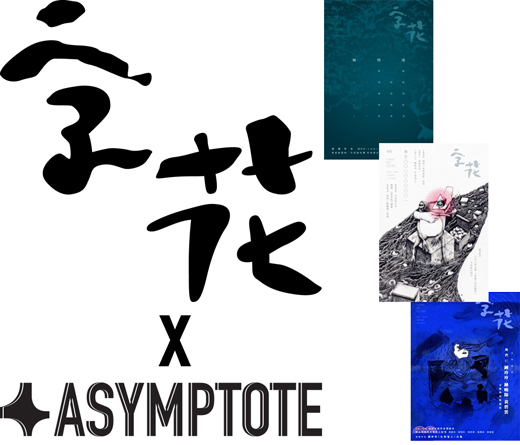 ), would like to snag some Asymptote-swag (check! ), and would like to help us cater to you (check—we hope! ), please consider filling out our reader survey, which you can find here. It shouldn’t take more than a few minutes or so, and we’d certainly appreciate the feedback! Be sure to finish it by tomorrow—Monday, September 8th—to be eligible for Asymptote-related swag! In this exact moment it is a three-way tie: Achilles, Omar Little (The Wire), and Sherlock Holmes.